It’s tempting to always be chasing a “silver bullet” for growth. But constant growth doesn’t happen overnight. Don't search for a single idea that will save your business and make it reach the sky. Become your own marketing expert with the Growth Matrix. Get laser focus on what is the best solution for your online business. 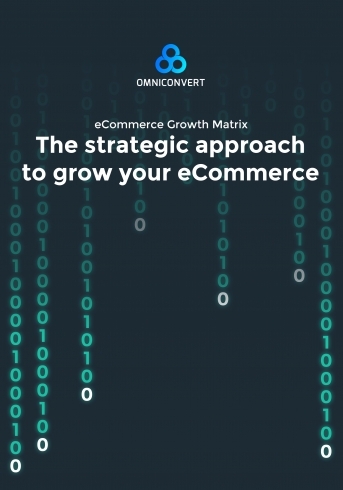 First step is to brainstorm and set your strategic objectives & initiatives for your eCommerce business. Take your time to make sure you set the right objectives. Using a scale from 1 to 5 assess the impact of each initiative on every objective. Rate the budget, execution time and the resources needed to get the ease score. Choose the strategies that make the most sense for growing your business and follow them through. Repeat the process every time you want to adopt a new strategy. Enjoy the ride! © 2017 Omniconvert. All Rights Reserved.